Ohm’s law is an equation that can be used to calculate the values of the different properties in an electronic circuit. Download the Arduino software and follow the instructions on the Arduino website if you have problems setting things up. The Arduino boards that you have are Arduino Unos and do not require any driver installation for Mac or Linux. 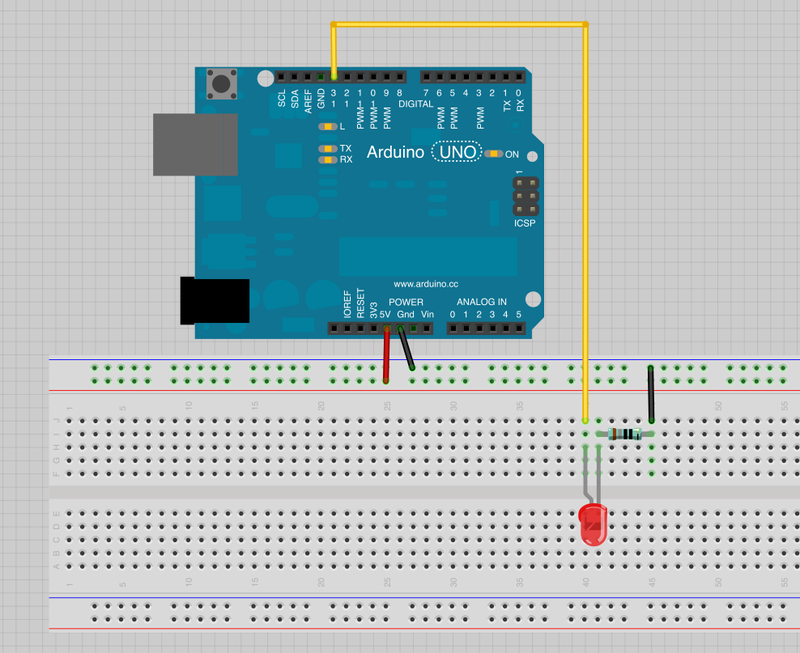 The Arduino software is used to program the Arduino. You will notice that it is very similar to Processing. The code structure is also very similar. All Arduino sketches need to have the following functions. Our first program is the one that already comes with your Arduino. You will see that the little LED on the board marked ‘L’ starts blinking when you power the board. Let’s connect an external LED to see it a little bit better. 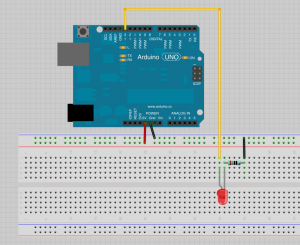 There is a good tutorial on the Arduino website for this basic example.